Seeking ways to meet future demand. 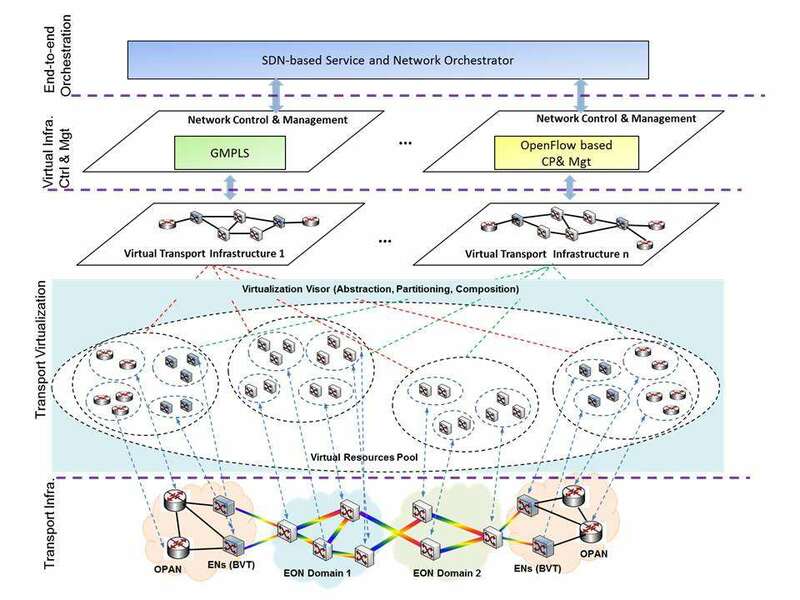 The European Union and Japan have assembled six research projects to explore future internetworking technologies, including optical connections of 100 gigabit/s and beyond. Funded with a total of 18 million euro (A$25.5 million), the six projects include research into a range of existing and new technologies and concepts, such as software defined networking, to meet burgeoning demand for data capacity in the future. Among the projects, STRAUSS will focus on developing cheap and energy efficient switching nodes and dense wavelength division multiplexing optical circuit switches for long-haul data transport, and design an advanced optical Ethernet transport architecture. STRAUSS will seek to demonstrate outcomes of the project on large-scale testbeds in Europe and Japan. Other parts of the EU-Japan research initiative include the Federated Testbeds for Large-Scale Infrastructure Experiments (FELIX) platform to try out new networking technologies. The MiWEBA wireless networking project at the Fraunhofer Heinrich-Hertz-Institute researches and develops millimetre-wave overlay heterogenous networking technology. It aims to expand network capacity by a factor of 1,000. Other parts of the iniative include the ClouT real-time sensor control project for City Infrastructure, Application Software and Platform as a Service experiments, and the Nippon-European Cyberdefence-Oriented Multilayer Threat Analysis (NECOMA), which will look at data collection, network dangers and how to keep them safe from attackers. Already active, the Green Information Centric Networking (GreenICN) project is looking at a migration path from the current internet, focusing how to be highly scalable yet energy efficient and how to cope with large natural disasters such as tsunamis. Japan's Ministry of Internal Affairs and Communications (MICT) and the National Instititute of Information and Communications Technology (NICT) will work on the projects with the European Commission. The research projects are part of the EU's Seventh Framework Programme (FP7) that aims to improve the competitiveness of European industry, and which has 9.1 billion euro (A$12.9 billion) of funding for the ICT component.